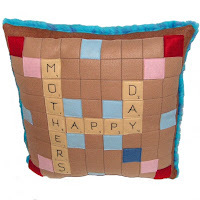 Most recently I've worked on Lucas' mom's Mother's Day gift. 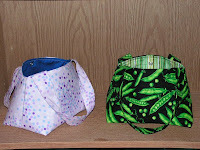 I made my mom a purse and already shipped it, but we worked on Lucas' mom's gift this weekend and I shipped it today. 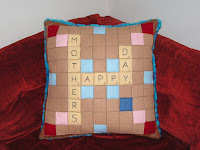 She likes Scrabble, so I came up with an idea to make a plush Scrabble board turned into a pillow. The back is made from soft fuzzy "monster fur" to make it more snuggly. Isn't it great? 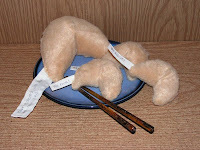 Back to my obsession with plush food... Last week I crafted some homemade plush sushi and fortune cookies. 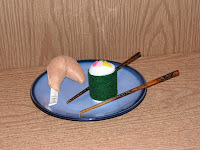 The fortune cookies can come with various personalized messages. 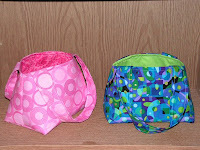 I'm selling them now at my online shop. And speaking of plush food, my plush cake and donuts are officially on display at the Cafe Kino exhibit in the UK this week. The exhibit of fake food runs until the first week of June. My cake already sold, so that's great! I get 100% of the profit from selling my items, so the cake alone will more than cover the shipping fees I spent to send the items out there. Yay for already being ahead on the first week of the exhibit! Meet Bernard Moo! 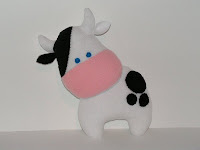 He's a cow that I designed and made from baby soft fleece. Isn't he sweet? 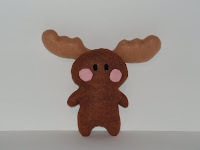 He has a counterpart named Betsy that is designed in my head, but I just haven't gotten around to making her yet. Whew! 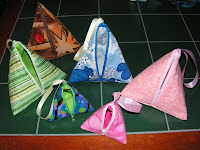 I think that's it crafting-wise! My application for Permanent Residence here in Canada was approved last week, and my appointment to pick up my Permanent Residency Card is set for May 17th. YAY ME! I'll be all official and able to finally work again this month :) It's been nearly a year since I've seen my family, so I booked flights today to make a trip back to Indiana to see family and friends on May 24th. I'll be staying a full 2 weeks. Since it's a black-out deadline period for Lucas at work, he'll fly out separately and meet me down in Indiana on May 31st and spend the second whole week with me. We'll fly back together on June 7, just in time to celebrate my one-year-in-Canada anniversary :) What an exciting month it's been so far!